Pecan Pie Bars are easy to make for the holidays, easy to transport, and even easier to eat. They're just like pecan pie, but no need for the knife and fork! Pecan pie is a family favorite for many, myself included. I make a pretty classic version throughout the holidays, but sometimes I like to take something familiar and twist it in a slightly different direction. These bars are an adaptation of the classic pecan pie but in a handheld package: imagine a thick layer of luscious pecan pie filling on top of a sturdy shortbread crust, and the whole thing holds its shape when you cut it. The filling is very similar as a pecan pie, except I use brown sugar instead of white because it brings some molasses for more depth of flavor. The shortbread base also needs to get pre-baked for a bit to set up. It is not as sweet as a shortbread cookie, but this will balance with the sweet pecan topping. The filling sets up slightly more firmly than the pie version, so you can eat these out of hand without a plate and fork. The center pieces are gooey but won’t smoosh out the sides when you take a bite. Meanwhile the edges get deeply caramelized and chewy where they touch the pan. It takes every ounce of willpower I have not to eat the outside edge of the whole pan by myself! But really, you can’t go wrong, no matter what piece you get. Vanilla paste is a great substitute for either vanilla beans or extract. It has a gel-like consistency with tons of tiny vanilla beans suspended in it. I think it has a slightly more robust vanilla flavor but you can use it interchangeably with vanilla extract, especially for recipes where you want to see those flecks of vanilla beans. DO YOU HAVE TO USE CORN SYRUP? Like most pecan pie recipes, these bars call for corn syrup to make up a large part of the filling. If you’d prefer not to use corn syrup, I have subbed corn syrup for both golden syrup and honey with great results. Both of these sugars make a sweeter pie that prominently carry the respective flavor of their ingredients. Don’t take these out of the oven until the center is just set. The top should be dry to the touch, with a bit of give beneath the surface. You don’t want it to jiggle. If you take them out too early, you run the risk the bars oozing when you cut into them. But you also don’t want them to bake too long and become puffy in the center. In my oven, the bars still jiggle slightly, like Jell-O, when I check them around 35 minutes. From that point, I know they only need a 3 to 4 more minutes in the oven to finish baking and fully set. Store these bars in an airtight container at room temperature for best texture, for up to 2 days. To store longer, refrigerate in an airtight container for about 4 days. Bring the bars back up to room temperature for best texture. These bars will freeze well if you wrap them individually in plastic wrap and then aluminum foil. They should keep for up to 2 months. Then you can pop one out, thaw in the fridge, and eat them one at a time! 1 Preheat the oven and prep the pan: Preheat the oven to 375°F. 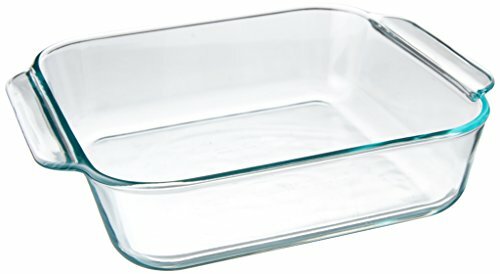 Grease and line an 8x8-inch square baking pan (metal or glass) with parchment. Make sure to line at least the bottom and two sides so you can easily lift the bars from the pan. I use a large piece of parchment (pre-cut for a sheet pan) and fit the whole thing into the baking pan, folding in the corners, so I can lift out the bars in one piece and not have to deal with any sticky filling baking onto the sides or bottom of the pan. 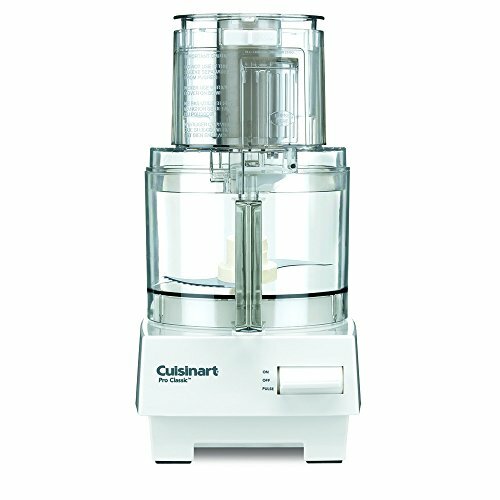 2 Make the crust: Pulse the flour, sugar, salt, and butter into a food processor until combined. The mixture will be sandy. Continue to process the mixture until it goes from sandy to clumpy. When this starts to happen the food processor will actually sound different. It will be less high-pitched and have more of a low rumble sound. 3 Bake the crust: Once the crust mixture clumps up, transfer it from the food processor to the prepared pan. Press it firmly and evenly in the bottom of the pan. Pierce the crust all over with a fork and bake in the oven for 30 to 35 minutes or until light to medium golden brown all over. 4 Prepare the filling: Add the chopped pecans to a mixing bowl and set aside. Using the same food processor bowl used to make the crust (no need to clean it out), combine the brown sugar, flour, salt, eggs, vanilla bean paste, and corn syrup (add the corn syrup last so it doesn’t get stuck on the bottom of the food processor). Pulse until completely combined. Pour the mixture over the chopped pecans and fold to combine. 5 Bake the bars: Once the crust is baked, remove it from the oven and reduce the heat to 350°F. Scrape the pecan mixture onto the baked crust. Place an extra few pecan halves on the top of the filling as decoration. Return the pan to the oven and bake for 35 to 40 minutes, until the center is just set. If the center still jiggles, bake for a few more minutes; if you notice the bars starting to puff in the middle, remove them immediately. 6 Cool and serve: Cool the bars on a rack completely before lifting from the pan. Cut into 2x2-inch squares and serve. These bars can be stored in an airtight container at room temperature for 2 to 3 days. Hello! All photos and content are copyright protected. Please do not use our photos without prior written permission. If you wish to republish this recipe, please rewrite the recipe in your own unique words and link back to Pecan Pie Bars on Simply Recipes. Thank you! This sounds great! I bake a pecan pie every Thanksgiving, and this will be a nice alternate choice this year. Perfect timing! Will be making these for Thursday. I like the fact that they can be frozen because there are only 4 of us and you can, actually, have too much of a good thing! Delicious, can’t stop eating them. Lauren I added the halves after 2 cups. Are those extra pecan halves on top? Or from the 2 cups of chopped? Hi, Lauren! Sorry for missing that detail! The recipe is fixed now. The pecans on top are extra (not part of the 2 cups). Enjoy!